My friend Tintin San Juan started Sesou Nature Source with two of her friends, Jen Mayuga-Cruz and Trisha Atendido-Ruste, when they all decided to live green, but realized there was no single store where they could get 100% eco-friendly goods! So they set off to create Sesou Nature Source, with a mission to provide everyday products that promote wellness and eco-awareness at home. I really think their brainchild is just brilliant! 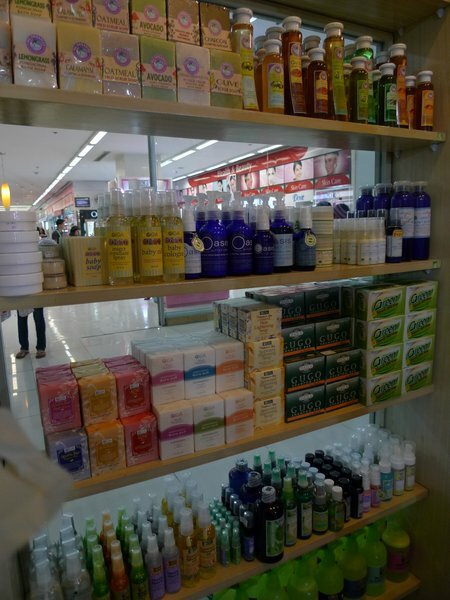 It's simply a one-stop shop where you can find proudly-Pinoy brands that offer natural, organic, chemical-free and eco-friendly products such as All Organics, Messy Bessy, Human Nature, INDIGOBaby, Wild Organics, Leyende, Daila, Plantex, Ilog Maria, Giga among many others! If you think about it, instead of shopping for each of these brands online and paying for shipping individually, you only need to step out and head to Sesou and get everything you want in one go! 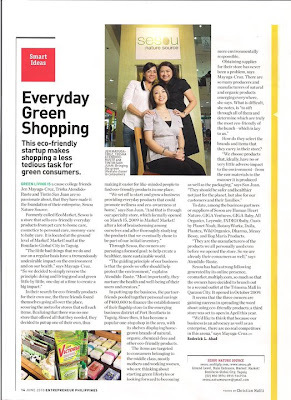 Not only are Tin, Jen & Trisha promoting green living, they are getting recognized for it too! 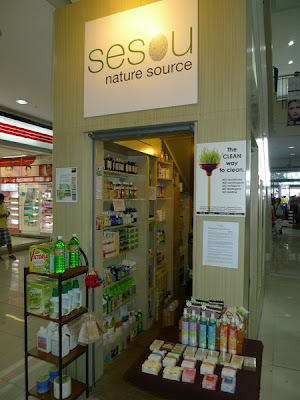 Sesou only started in March 2009, but since then has already earned mentions in magazines like Metro Home, myHome and Entrepreneur Magazine. 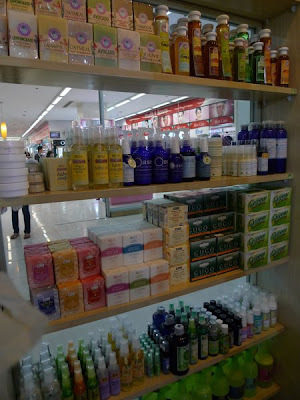 Sesou also received a Most Promising Retailer award from Market! Market! for 2009. And I am not even surprised why. Green is the new black, and this venture will only grow bigger for sure! Ground Level, Main Entrance, Bonifacio Global City, Taguig. We're right across Mercury Drug. We're right across Sarabia Optical.